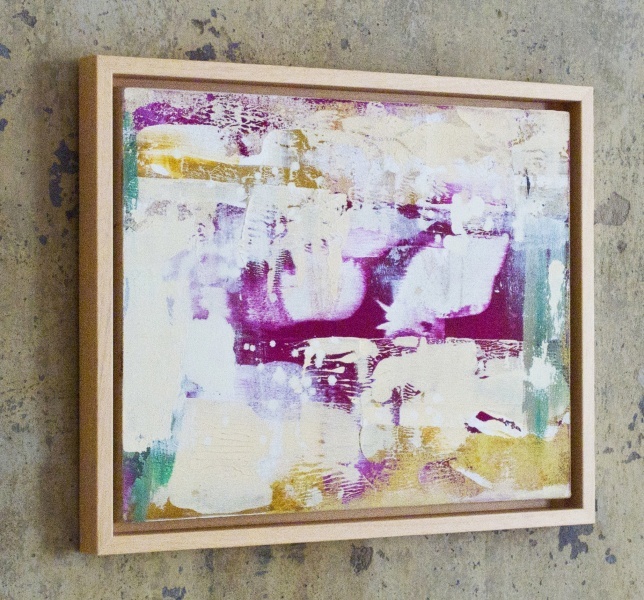 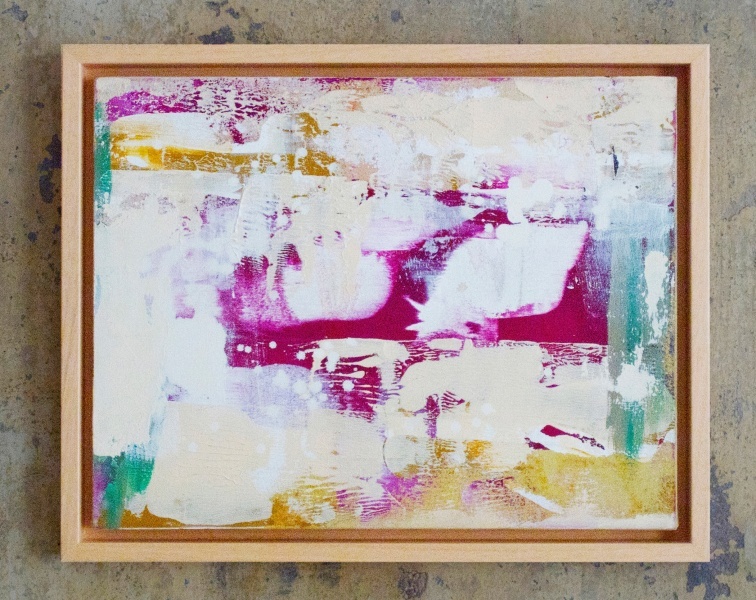 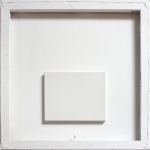 Original painting in mixed media on canvas presented in a simple wooden frame. 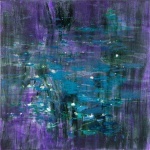 "I wish people to become more fulfilled when they see this painting and experience spiritual richness. 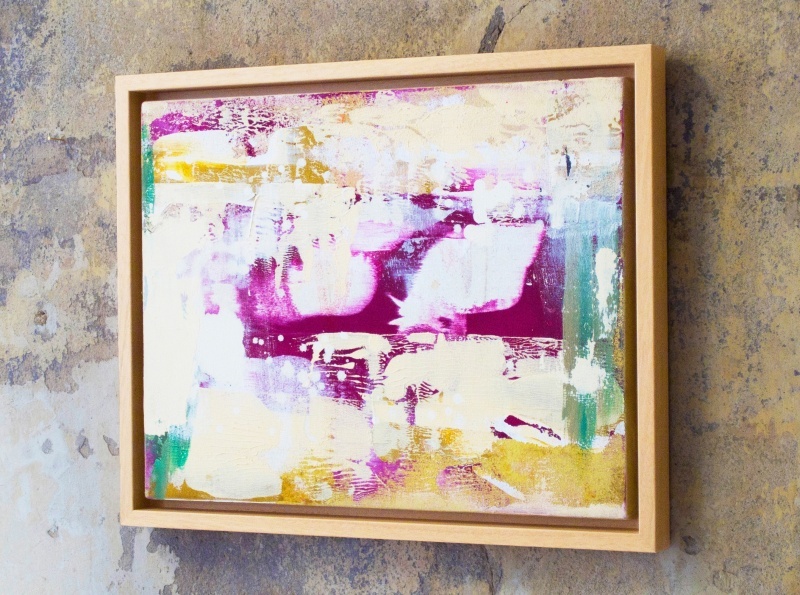 This painting symbolises light, life, and joy."